The Canadian Language Museum presents an exhibit about Cree, the most widely spoken Canadian Aboriginal language. 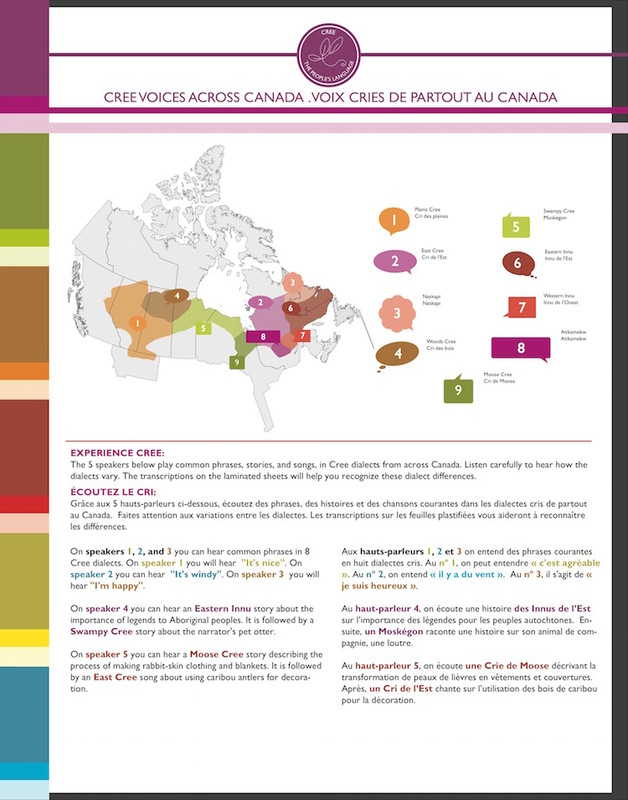 Six colourful panels present maps, photos and information on topics including the syllabic writing system, word formation, animacy, and the future of Cree. There are also audio clips of Cree dialects from across Canada.